Pulse Ranger is an exciting outdoor laser combat game. 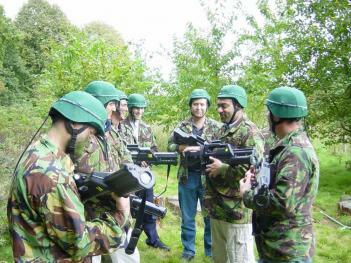 All of the fun and strategy of paintballing but without the pain of being hit! 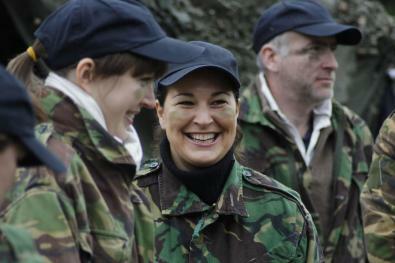 This action-packed activity can be played in the woods and undergrowth at hotels around the UK. This is a head to head activity which is part of our Spy School event, but we’re able to include it on the outdoor activity of your choice. It makes an excellent addition to a Family Fun Day. We divide your group into two equal teams and give each player a Pulse Ranger set. This includes a helmet and assault rifle with two settings – semi-automatic and grenade launcher (ideal for storming an enemy stronghold). Aim for your opponent’s helmet, if you score a hit their gun is deactivated for 10 seconds.